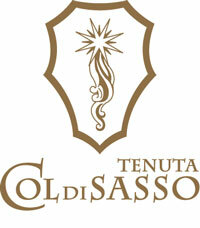 Tenuta Col di Sasso is an ancient nineteenth-century estate, currently distributed on 80 hectares composed mainly of Mediterranean scrub, olive trees, oaks, cork oaks. At one time it extended well beyond the current boundaries, so much so that all the territory from the hill to the plain of Beccanina belonged to it. In the upper part of the estate, on Col di Sasso, stands the manor house, which dominates the valley and at the foot of which the shepherds had organized their huts for the pastures. Further downstream, the Campo di Chiara, dedicated to the homonymous saint, was the center of the company’s life, with its winery, the mill, the workshops, the sheepfold and the shepherd’s house, which is already listed in the Leopoldian cadastre. of the first half of the 800s. In the flat part of the farm, however, the majestic farm of La Beccanina, once belonged to the Beccani family, from which it takes its name, with its spurs and its tower, housed a cattle and pig breeding, as well as a barn . It was in fact surrounded by immense fields of wheat. Of this great company still today remains a strong historical imprint, visible in the buildings, in the furnishings and in the atmosphere that you breathe in. Olives are still harvested, from those secular olive trees that have trunks so big that they themselves become works of art. The ancient oil mill, with its stone mill and its presses, is still installed where the oxen once turned the big wheels. Next, the oil is required to decant in the jars, as it once was. The Col di Sasso Estate oil derives from PGI olive trees and is organic, as no treatment is applied. In addition to olive trees, cork oaks are numerous, especially in the upper part of the estate. From the demaschiatura of the trunks, carried out by men, masters of this ancient profession, you get the cork, used all over the world.